Video care of GetUp venture on tax avoidance! It is yet another failure of our elected officials and public servants to be accountable to their voters and taxpayers, another sign that politicians and bureaucrats govern, not for public interest, but for vested interests. 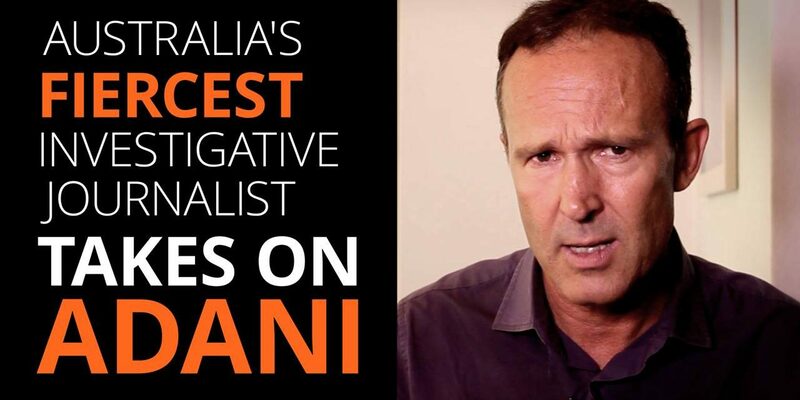 Almost two months have rolled by since the government’s export agency, Export Finance and Insurance Corporation (EFIC) was asked by this reporter if it was secretly assisting to finance Adani’s $16 billion Carmichael coal project. Nothing. No response from EFIC apart from the usual manicured PR reply. Nothing either from the minister who instructs EFIC, Steven Ciobo. Nothing at all apart from a pledge that a response would be forthcoming. Again, nothing forthcoming. The EFIC financing angle is contained in a report by the Australian Conservation Foundation, Dirty Deeds, Done for Cheap Dirt, which also investigates the board and the investment mandate of the Northern Australian Infrastructure Facility (NAIF). NAIF was set up by the Federal Government in 2015 to invest $5 billion in taxpayers’ funds in infrastructure projects. And although its mandate is all infrastructure, the expertise of directors – and indeed the pro-coal rhetoric of government ministers suggests it is something of a coal and resources slush fund. In the meantime, immense public resistance to the world’s biggest new thermal coal mine, Carmichael, has yielded some news in recent days. While mainstream media has cavalierly ignored the elephant in the room – the prospect of the government deploying taxpayer funds to back, not just the rail link, but the Carmichael coal mine itself – royalties have been a winning diversion. 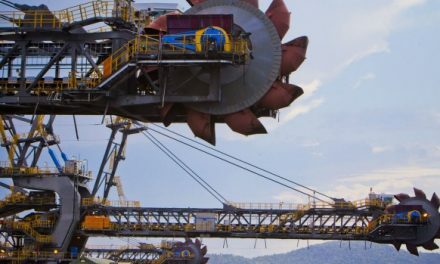 After days of debating whether to sling Adani a “royalties holiday” of $300 million-plus on its coal volumes (in addition to a free unlimited water licence) the government of Annastacia Palaszczuk vowed to reject a preferential royalties arrangement on Friday. Further, she debunked the idea that the state would play a part in funnelling taxpayer funds from the federal government to Adani. A couple of points: although a royalties “freebie” has been quashed, a royalties “deferral” appears still on the table. This is still a substantial concession as, if no royalties are paid in the initial years and the project goes belly up, there will be no royalties paid. The next point: in ruling out state assistance, the Queensland premier seems to have quarantined herself from a likely voter backlash, while still leaving the door open for federal funding. Adani Power has just released its annual results for the year to March showing a net loss of $US954 million. The auditors qualified the accounts. At $US2 billion, current liabilities outstrip current assets. As opposed to Adani Enterprises, which controls Carmichael, Adani Power is seeking to expand its ties to Indian domestic coal assets. What with falling futures prices for thermal coal, Adani Australia’s controlling interests sitting in tax havens and its immediate Indian parent entities heavy on debt and light on equity, commercial banks around the world are highly unlikely to stump up project finance for Carmichael without the backing of the Australian government. The Federal Government needs to come clean. Is EFIC, or any other government entity, evaluating financing options for Carmichael, including insuring and guaranteeing commercial bank loans?